September 9, 2018 2:49 pm. Vega Magic will go to Albury for a work-out as part of his preparation for The Everest. Everest contender Vega Magic’s path to the $13 million race will include a jump-out at Albury. Vega Magic, fourth in the Group One Memsie Stakes at Caulfield on September 1, will not race again before The Everest on October 13 at Randwick. Senior Lindsay Park trainer David Hayes says the plan is to give Vega Magic a solid work-out on September 20. He says the stable is likely to supply five of their own runners who will be joined by possibly one or two locals in the jump-out which has been organised with the support of the Albury club. “We want to give him a spin on the Sydney leg three weeks before the race,” Hayes said. “Ollie (Damien Oliver) knows about the trial and hopefully he’ll come up to ride him. Vega Magic won the Memsie Stakes last year before running second to Redzel in the inaugural running of The Everest. He is the third favourite in current Everest markets at $7 behind Redzel ($5) and Trapeze Artist ($6). Hayes said he plans to add blinkers to Vega Magic’s gear in the jump-out and again when he runs in The Everest. 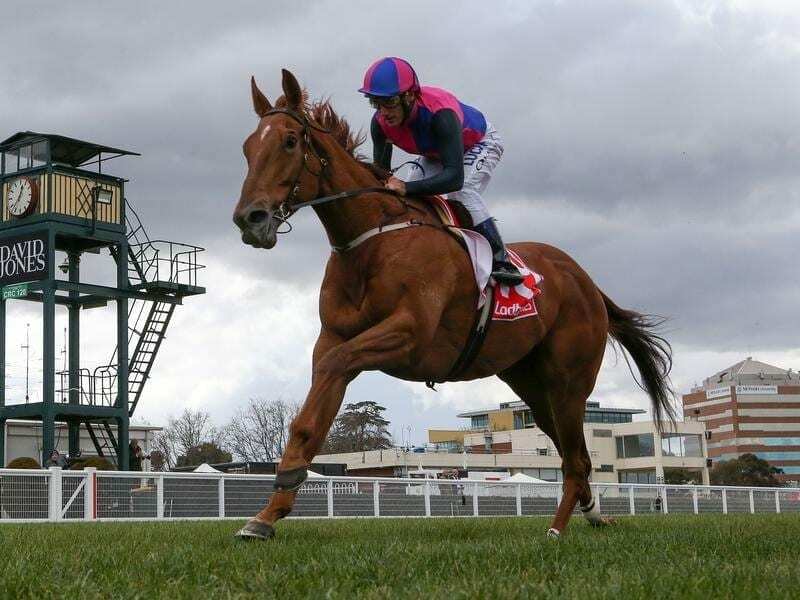 Vega Magic wore the headgear when he won the Bletchingly Stakes at Caulfield in July before having the blinkers replaced by winkers in the Memsie Stakes. “I’ll give him a jump-out in the blinkers and see how he responds again in the blinkers,” Hayes said. “I thought he was dominant in them when he won the Bletchingly and to me he was wandering in the straight without them, stargazing, and he got pinged last time.